BATI Group has been selected for the prestigious TANAP (Trans Anatolian Natural Gas Pipeline) Project. The objective of the TANAP Project is to move Azerbaijani gas through the Turkish Republic to Southeast Europe in order to procure the natural gas demands of both markets and the construction of the land and sea pipes to be used through the Dardanelles Strait takes place in Biga, Turkey. The total length of the pipeline construction is 1,850km and more than 3 trillion metric cubes of natural gas will be moved through it. 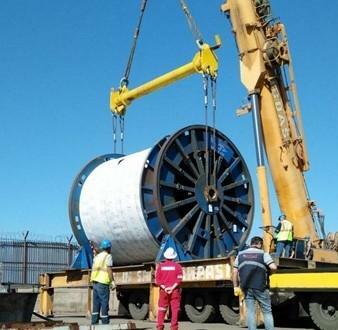 Along with the pipeline construction, a construction of fiber-optic cables (FOC) was also carried out at the end of 2017 in order to enable the acquisition of electronic information at the control points of the pipeline and BATI were tasked to assist. 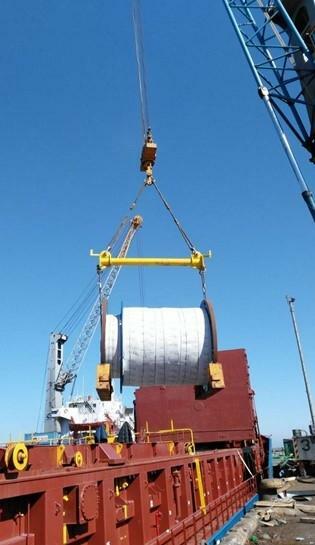 A total of four reels with diameters of 5.5m and widths of 5m (two weighing 95tns and two at 72tns) were used in the operation. 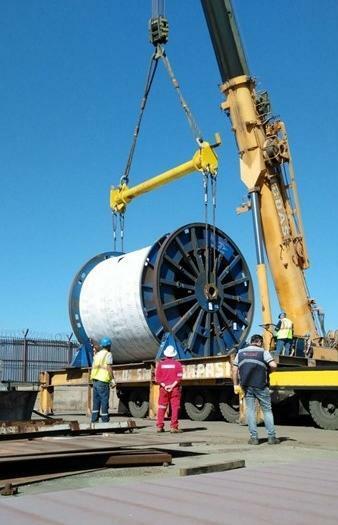 Additionally, 2 smaller reels with diameters of 2.7m and widths of 3m (each weighing 2.4tns) were also used. See the gallery below for photos of the reels during loading. 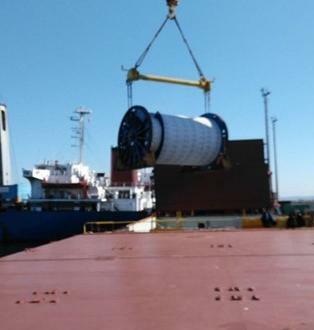 Mr. Oguz Cankur of the Project Operation department at BATI describes the job; "One of the challenges of this project was the fact that FOC is a unique, sensitive and very expensive product which must be transported with special lashing and care in order to avoid any damage. The FOC's were produced in Norway whilst the reels were produced separately in Rotterdam, the Netherlands. 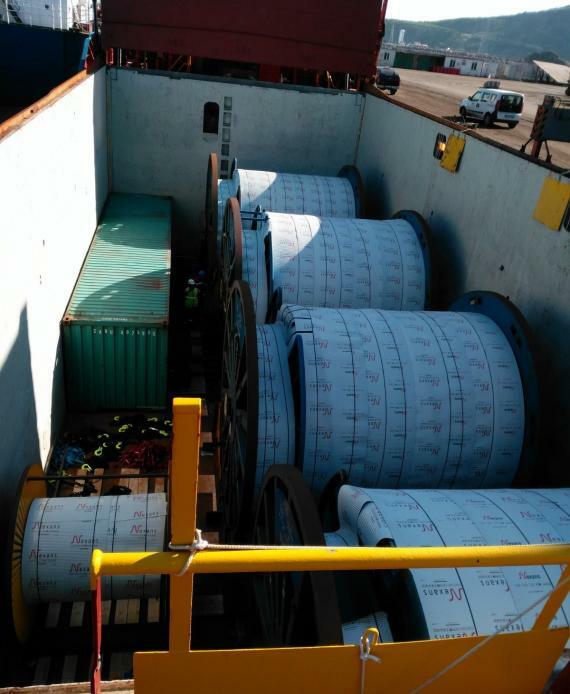 After loading and lashing was completed, a chartered vessel transported the reels from Rotterdam to Rognan in Norway where they were discharged and transported to the factory for the spooling of the FOC. 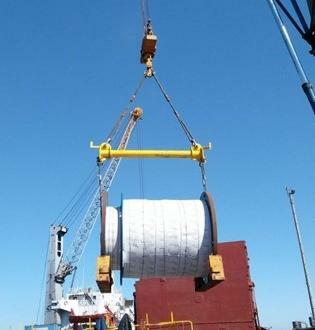 Afterwards, the spooled reels were loaded onto the same chartered vessel at Rognan and sailed to Icdas Port in Turkey. 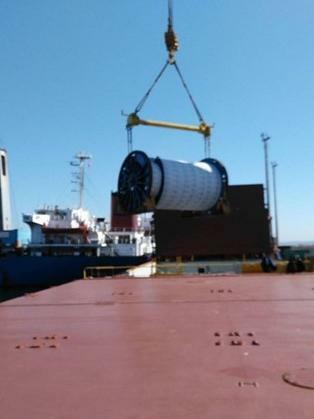 On arrival, the discharging process promptly commenced with a mobile crane and a high capacity transporter transferred to goods to the stockyard for the shore vessel to lay the FOC reels underwater one by one. 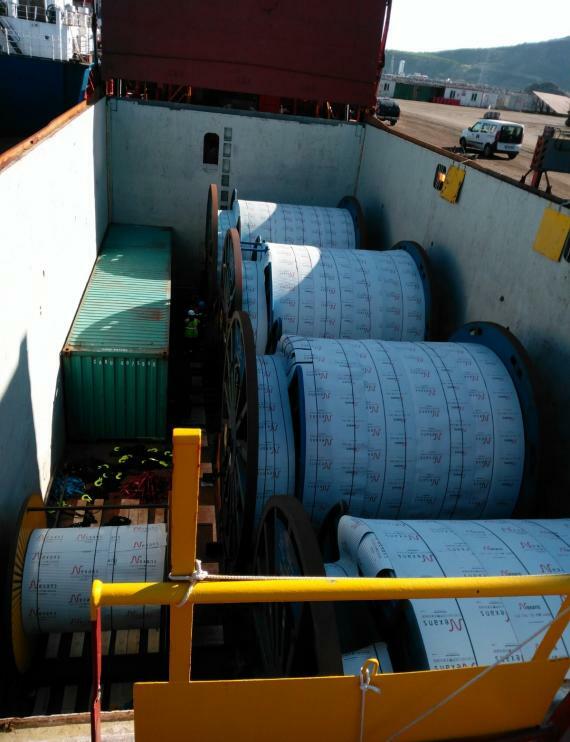 The final operation involved the transportation of the empty reels back to Rotterdam." The difficult operation was safe and successful for all parties involved thanks to the excellent work from BATI (PCN members in Turkey since 2015).